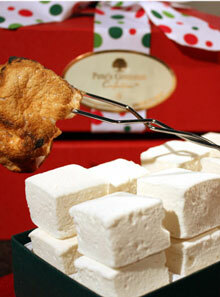 Gourmet Mallow Roasting Kit | Marshmallow Roasting Set Discounts Apply ! Marshmallow roasting has never been easier or more delicious. 32 of the greatest vanilla mallows and 4 deluxe roasting forks create the Ultimate MARSHMALLOW ROASTING KIT for summer campfires. Eco kosher!